Sleek lines and contrasting black and silver tones, the bar set will add a sense of occasion to your dining experience. 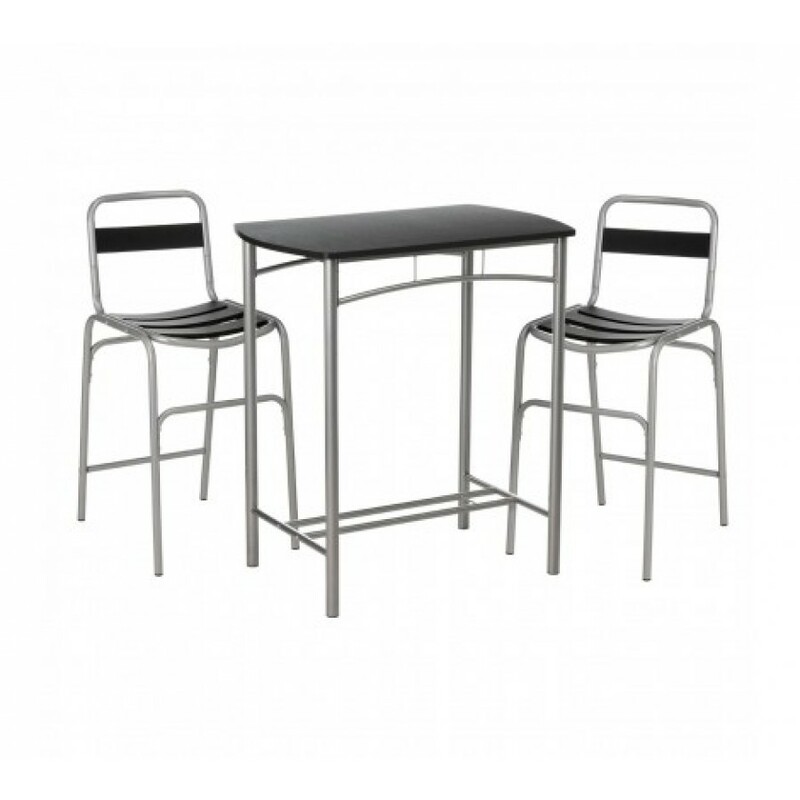 The stylish bar set include 2 x bar chairs and a table made from durable, sturdy steel and strong, reliable MDF. The bar set is ideal for those where space is at a premium. The steel frame and legs of both chairs and table are given a silver powder coated finish for added appeal. The chairs black slatted design is curved for a more comfortable seat, and a single black panel on the back rest gives you excellent support. The sleek black table surface has a thick PVC coating for easy cleaning, and curved at either end for style while ensuring there is no sharp edges. The trendy bar set will complement most decors while making a wonderful and practical feature in your kitchen or dining area.